Today I want to acknowledge I debt I owe, to a man who died feeling he was owed. Detail from a photo, c. 1898, via the Burton Historical Collection. 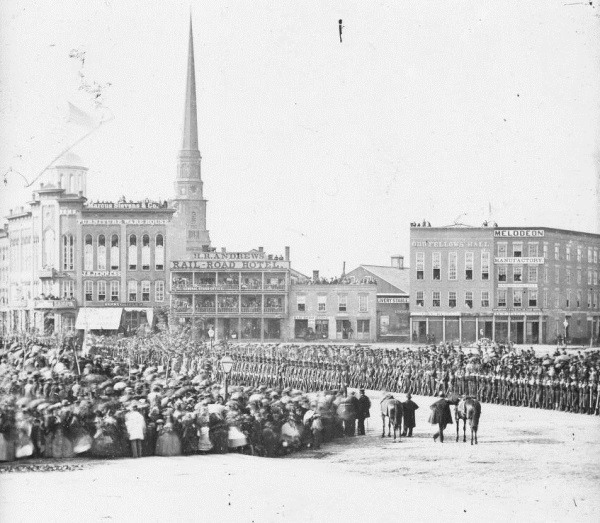 Presentation of colors to the First Michigan Volunteer Regiment, Campus Martius. Jex Bardwell, 1861. Via the Burton Historical Collection. John Jex Bardwell was born in London in 1824. (“I celebrated with much howling and kicking, and from all accounts have kept it up more or less ever since,” he wrote in an autobiographical sketch.) He first came to Michigan with his family in 1834 (they landed in Detroit at the Steamboat Hotel before striking out to Ann Arbor). As a young man, Bardwell trained to be a brewer and distiller — his father’s trade — but on a visit to England in 1845 he became acquainted with daguerreotypy and had a change of heart. Stereoscope of Elmwood Cemetery’s gatehouse. Jex Bardwell, date unknown. Via the Burton Historical Collection. Bardwell was a collegial elder of the craft. He subscribed to every magazine available (Wilson’s Photographic Magazine, Anthony’s Photographic Bulletin), went to every conference and meeting on photography he could, wrote papers, gave lectures, and encouraged newcomers to the craft to do the same, with fervor. In the 1860s, Bardwell’s penchant for hoarding his trade papers proved useful. For a decade, photographers had been pained by James Ambrose Cutting’s bromide patent, which required a cumbersome licensing fee for using the chemical in the finishing process. 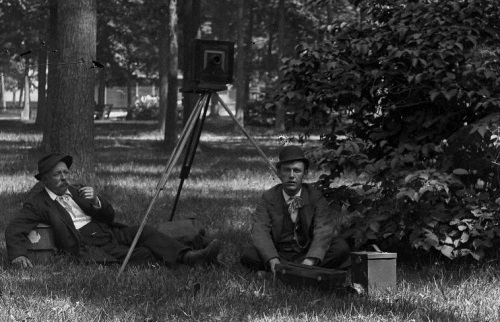 But Detroit photographers — backed up by a bullet-proof argument from Bardwell, built on his extensive personal archive of photography papers — refused to pay Cutting’s agents, claiming that bromide had been in use since Daguerre and besides that was a fading technology. Bardwell even closed his shop and personally fought the patent in court. The patent was not renewed, and photographers all over the country were relieved of the bromide tax. 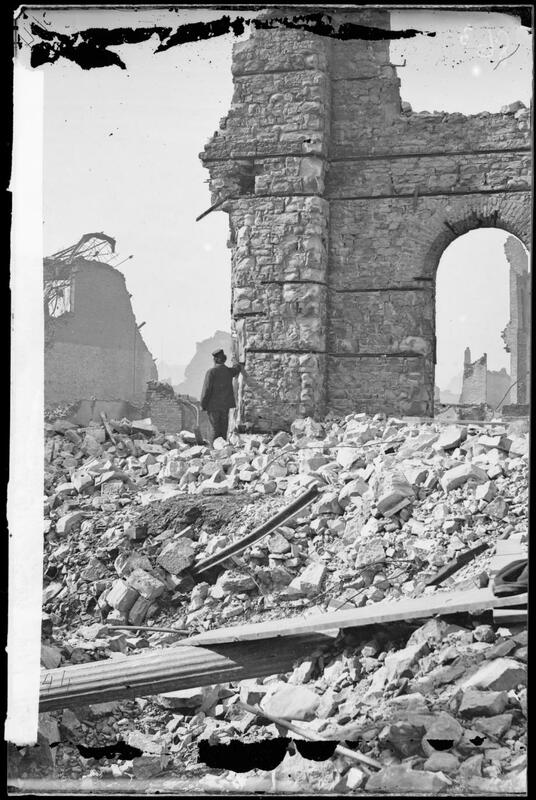 View of the Union Depot after the Great Chicago Fire. Jex Bardwell, 1871. Via the Chicago Historical Society. In writing of these matters I cannot but feel that the services I then rendered to the craft, without expectation of fee or reward, were of such practical and enduring benefit that now, when circumstances are changed and I am in need of help, I may reasonably look to the fraternity for some little assistance. The service I rendered must certainly have saved photographers from a tax which in the aggregate must ere this have amounted to an enormous sum. I am now old, my sight is impaired, and I am able to get only a very poor living by means of my optical lantern. Should sickness or disability overtake me, I would be left a burden to my few friends or to my country; whereas if every photographer in the States would contribute twenty or twenty five cents, a sufficient sum would accrue to enable me to live happily and comfortably during the remainder of my life, and yet the amount would be very small compared with the sum which I helped to save for them. Left: Road into the woods, Palmer Park. Jex Bardwell, date unknown. Via the Burton Historical Collection. 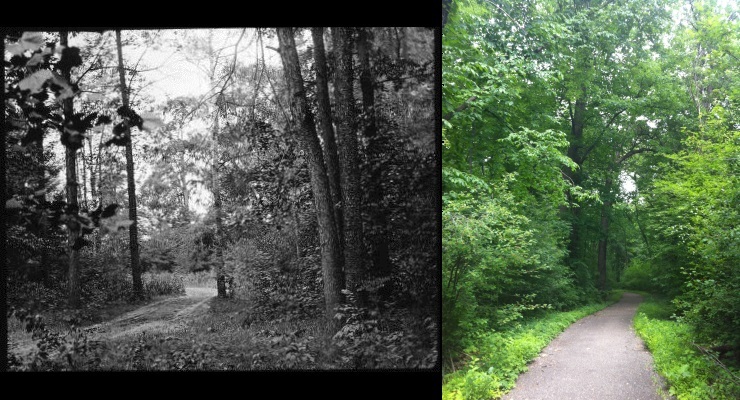 Right: Road into the woods, Palmer Park. Photo by the blogger, 2013. I’ve never been subject to an unfair bromide tax, but the debt I owe Jex Bardwell is real. His photographs are chinks in time, revealing the physical presence of what has been for me a largely imaginary world — a Detroit so old that no one is alive to remember anyone who remembers it. There are over 300 Jex Bardwell photographs in the Burton Historical Collection. It’s a rich archive and I don’t know what I’d do without it. So, Mr. Bardwell, I’d just like to publicly say thanks. In his day Jex Bardwell was the foremost photographer in Detroit … His life was one long experiment, seeking knowledge among the mysteries of the craft, and that is probably the reason why he ended his life in poverty. He always felt that photographers owed him a debt, which was true. How interesting…and fascinating! As usual, great work, girl! Magazines refer to it as ‘lives well lived’ deserve, at death, to get well covered. Clients should take their serious amounts of ensure that they can attach the correct instruction for that custom writing requests.